As the capital city of Russia, Moscow attracts travelers from around the world. If you're traveling alone, you'll find a variety of hostels that offer social environments and make it easy to meet other guests. Many hostels can also walk you through the sometimes complex visa application process, so don't hesitate to inquire in advance. 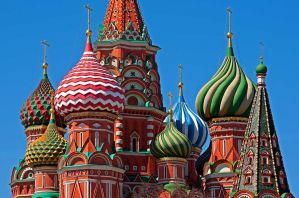 How much do hostels in Moscow cost? Chillax Hostel is a favorite for solo travelers in Moscow. They offers all kinds of activities for guests including cooking classes, gaming, and movie nights. If you're traveling alone and want to make some friends while you're in town, then this is the place to stay. The staff is very friendly and go out of their way to make sure you know everything that's going on around the city. There are even tickets to various events available for discounted rates. The hostel is located in a 19th century building that holds on to a lot of its character. There are high ceilings that give the building an open feel. The beds are comfortable and the facilities are modern. Guests can choose between six, eight, ten, and twelve bed dorms. There are both coed and female only rooms available. This hostel is one of the most unique and fun options in Moscow. If you're traveling alone, or even if you're traveling with friends or in a group, you won't regret staying here. 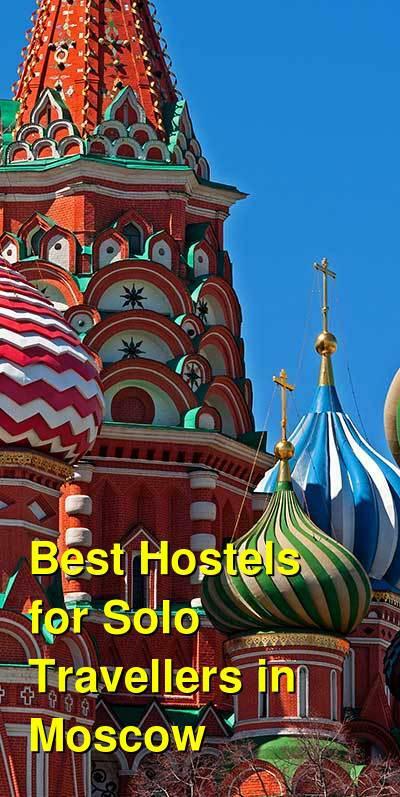 This hostel is another favorite in Moscow. It's conveniently located in the middle of Old Moscow, and it's very close to the Kremlin and Red Square. It's in one of the best locations in the city, so if you're short on time or want to be close to most of the city's tourist attractions, then this is the place to stay. In the surrounding area you'll find many bars and restaurants and the neighborhood is safe and pleasant. There are often solo travelers at this hostel, and many guests enjoy hanging out and grabbing a drink. The staff is fun and friendly and they speak many different languages including English, French, Dutch, and Hungarian. The hostel has several different sized dorms. You can find dorms as small as four beds and as large as nine beds. There are also female only and mixed dorms available. Guests also have access to a full kitchen and free wi-fi. The hostel also offers Visa invitation support, if you encounter problems during the visa process. This hostel was created by travelers for travelers. They understand what a long term, or short term traveler might want in their temporary home. They offer a comfortable setting where you can rest and relax after your day exploring the city. If you're traveling alone you will quickly make friends. It won't be long before you have a group of friends to grab a drink with or just watch an old movie from home. The hostel is located on Tverskaya, which is a central street in the city. It's very close to many of the top tourist attractions and is in a safe area where you can easily find transportation, restaurants, or cafes. The hostel has a variety of amenities available to guests including travel information, a filling breakfast, a shared kitchen, ticket services, and visa support. There are also a range of activities available for guests including walking tours, pub crawls, and food tours. If you're traveling alone to Moscow, then this is a great place to make your short term home. Godzillas Hostel is one of the largest hostels in Moscow. It's also a favorite with independent travelers and backpackers, so you are sure to find some like minded travelers while you're in the area. It's located in a historical building in the heart of the city and is a short walk to many of the city's top tourist attractions including Kremlin and Pushkin Square. It's just a few minutes from two different metro stations (Tsvetnoi Bulvar and Tverskaya/Pushkinskaya). The hostel is large and diverse, so it has a range of different room types that you can choose from. These include private twin and single rooms as well as small and large dorm rooms. Dorms range in size from four beds to ten. The hostel staff is friendly and multilingual. They know the city well and can help you organize everything, from visas, to transportation or tours. If you're traveling alone and want to know that you're staying at a reputable hostel, then this is a great option. It's size and reputation make it popular with travelers from around the world.